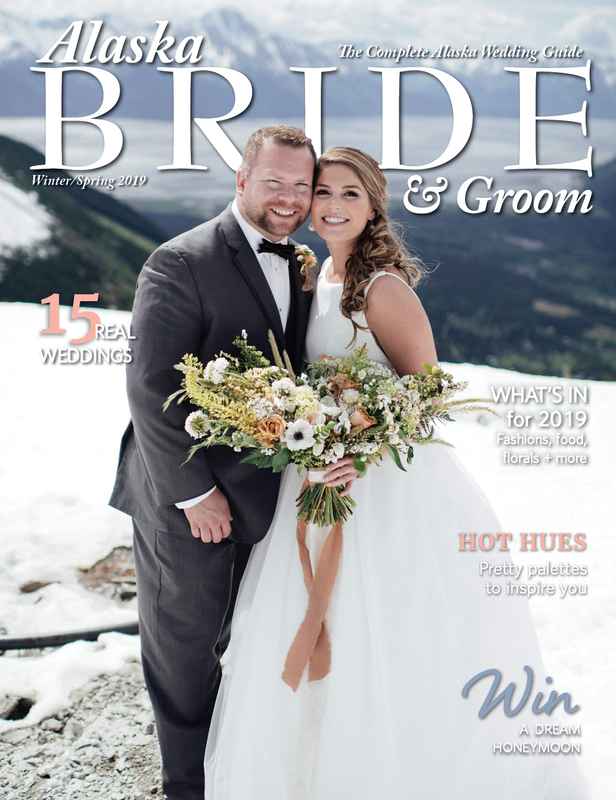 We asked recent Alaska brides who've already ‘been there done that’ to shell out their best advice for your wedding. What do these brides wish they had known on their special day, and what they wish they hadn’t stressed about? Read on for their priceless advice! Erin: Stick to your budget! Starting a marriage with a ton of debt for one day isn't worth it. Sara: At the very beginning, take time with your fiancé and rank the things that are most important to you in a wedding. Set a budget and spend your money on those things. Let the others go. Angela: No matter what the cost is, a day like that is special and is one that every bride hopes to have only once. Don't rush or cut corners to save money. Spend wisely; never cut costs on your photographer and no matter what anyone else wants or thinks, the day is about you and your soon-to-be husband. Make it a day you will love, cherish and always look back on knowing you didn't cheat yourselves out of anything. Katrina: Budget for dress alterations! Alterations can get very expensive dependent on what needs to be done. I didn't realize how much extra it costs just because it's a wedding dress and not a regular dress. Sara: Let someone else deal with the details. I wish I had either designated a wedding coordinator or hired one. When it came to the day of I didn’t want to have to worry about the details – like whether the DJ got there on time or if the table assignments were correct. I wanted someone else keeping track of things. Ashley: Be sure to delegate. As most of our wedding was done in a cost-efficient way, family, including myself, prepped most of the food beforehand. The early morning of our wedding I was cooking turkeys. I wish I had designated that task to someone who had time to do that. I felt much more rushed and even slightly stressed over the food as I had played a big part in the preparation of it. Ana: Do your research beforehand. Know what you like and what you don't want. Have responsible people who can help to carry out your vision. Tara: If you put the time in to pick your vendors well and help them prep, you should just trust them and let them do their thing on your day – they are the experts. Kaitlyn: Be sure to start looking for wedding dresses as soon as possible. My "perfect dress" wasn't available because it would take more time to order than we had. Ana: I wish my wedding invitations were sent out earlier because I had a rough time estimating how many guests would be at our wedding. Ashley: I wish I had started the decor for the wedding much earlier! As time crept up, I had to choose between projects and lost some of the ideas I had initially wanted due to time constraints. Make sure you plan to have a high-protein breakfast and drink plenty of water on the morning of. This will help you stay grounded and also as the time nears you will not be light-headed or nauseous. Amanda: Keep your stress to a minimum and pamper yourself the day of. 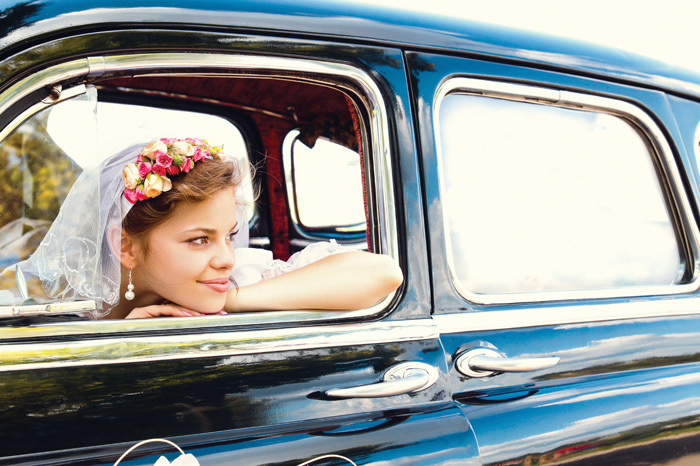 A happy bride is a beautiful bride and you want to put your best self at the altar next to your groom. Hannah: Be sure to plan out plenty of time for photos with family or give the photographer a list of shots that you want. My grandparents made it to my wedding but I don't have a photo of us together! Kara: I do regret not giving myself enough time to get ready and visit with my bridesmaids before the ceremony. It added extra stress. Plan your day and try to stick to a time frame; that way you can enjoy your day and avoid stress! Sarah: Consider having your wedding pictures taken before the ceremony. Otherwise, it can take longer than expected and may cut into time with family and friends. Elise: Try to go meet and spend time with out-of-town relatives and friends at the reception. I regret not going around to each of the tables and greeting/thanking our guests. Kim: Take time to plan. Get everything done ahead of time so you’ll have no stress on the wedding day. Elise: Enjoy the day/night and take the time to take a walk with your new husband – away from everyone. The peace the two of you will experience is priceless and it is one of the first marriage memories you will cherish. Sandy: Other brides had warned me that weddings can bring out the best and worst of your and your future spouse's family. Taking a look back, we did a good job ignoring the rib jabs and spent the night keeping each other happy and choosing to enjoy the moment. Katrina: NO DRAMA! That was my mantra. I was determined to have a low stress, beautiful and love-filled day devoid of drama. Keep in mind that your wedding day is about the unity of you and your husband and that it is not about the dress, the venue, the food, the guests – it is about you and your husband. Rachel: Choose your bridesmaids carefully. Irresponsible bridesmaids can cause a lot of problems. Katrina: We had our wedding outside with tents and we didn't think of heaters because it was in the summer. However, this is Alaska and you always need to be prepared. Luckily the day of we called to get heaters and the event store made it happen. Amanda: Make sure you count in kids and guests of your guests because we didn’t realize that our guests invited more people and we ran out of room at the reception. Tania: Lots of people who RSVP'd didn't show. About 25 people didn't show and their food cost $60/person. A waste of money. Renee: I was surprised by how many guests just didn't show up. I actually cried a little bit while seated at the head table. I looked out across the reception hall and saw all of the empty tables and seats and I cried. Every one of those people had RSVP'd and even picked their meal choice. It was sad, and I thought about how much money we could have saved. I wish that I wouldn't have let it get to me so much. Kara: I wish I had paid less attention to the little imperfections (uneven flowers, cake frosting smeared, small snag on dress). A bride always dreams of the perfect wedding, but the truth is there will always be something that isn't exactly the way you want. Don’t sweat the small things! The big picture is the thing that matters. Kim: Relax! Laugh at the things that go wrong and don't take everything so seriously. Sure, there will be snafus, but that will add to the richness of your memories. Sara: When you start to get overwhelmed, slow down and pick a favorite thing to remember about that moment. Like when I got surrounded by so many people I didn’t even have a chance to answer all the questions they kept throwing my way. I just reached out to my mom and hugged her tight. I love that moment! Ashley: As nervous as you will get, take moments throughout the day to just sit, breathe and enjoy what is going on – without stress or worries. It goes by so fast and turns into just a glimpse of a memory in your life. The moments you stop and just appreciate throughout the day, are the moments you will forever remember and that feeling you felt will stay with you.